Despite assurance (click HERE) by Congress vice-president Rahul Gandhi that the Forest Rights Act (FRA), 2006 would be implemented in Himachal Pradesh, a state governed by his party, latest incidents suggest that the state government is going ahead withwith fresh eviction notices to forest dwellers, allegedly in violation of FRA. A top civil rights organization, Himalaya Niti Andolan's (HNA's) Guman Singh, in a strongly-worded letter to the sub-divisional magistrate, Banjar, District Kullu, responsible for implementing FRA, has asked him to urgently stop eviction six scheduled caste (SC) families, who have been served notice of eviction by the district forest officer (DFO), Banjar. Pointing out that these persons have less than 5 bigha of occupation, the letter says, they have even their houses on forest land, for which applied for regularization in year 2002. Those who have have given notices are Krishan Kumar of village Buhara; Balk Ram of village Shahil; Bhakat Ram S/O Shri Kadshu Ram of village Dehuri; Dola Ram of village Dehuri; Inder Kumar of village Seri Alehda; and Rup Chand of village Bhadech. “All these all SC families are having very small land holding with them and have constructed their residential houses, cow shed and toilet for the last 30 years on forest land and have been cultivating small patches of forest land for their livelihood needs”, the letter says. 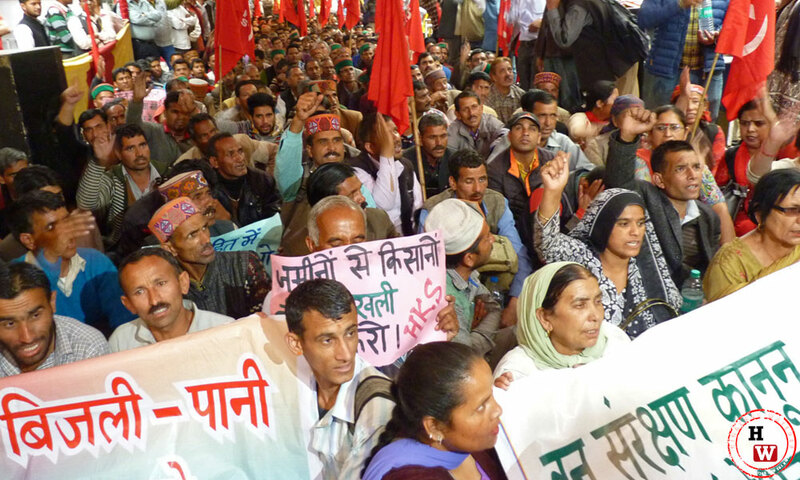 The evictions are taking despite Union ministry of tribal affairs issuing the clarification to Himachal Pradesh on dated December 14, 2015, “categorically explaining that recorded rights in settlement record needs to be recorded and recognized under FRA”, Singh says.